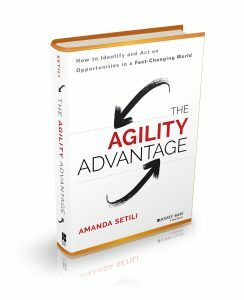 Author Amanda Setili just released The Agility Advantage: How to Identify and Act on Opportunities in a Fast-Changing World to help you identify the aspects of your business and marketing where you need to think and act quickly. Tell us what trends you were seeing that caused you to write this book. We live in a fast-changing world. New technologies and business models enter the market daily, and customer behaviors and preferences seem to shift constantly. Increasingly, businesses customize their offerings in real-time to localized, ever-smaller customer segments. In this environment, it is crucial to sense changes in the market and quickly and effectively capitalize on those changes in a distinctive way. Many of the large companies I work with make high quality, consistent products, and have excellent service. They run like clockwork. The trouble is the consistency and control that was so critical to their success can make it very difficult to change with the times. For example, it can be hard to keep up when customers adopt new technologies. 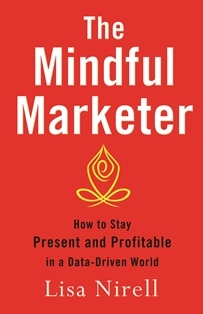 I wrote this book to help organizations become more adept at tuning in to changes in the market place, responding to those changes in a creative and intelligent way. Define strategic agility for us. Strategic agility is the ability to spot and capitalize on changes in your business environment – for example, changes in technology, regulations, and customer behaviors and values. 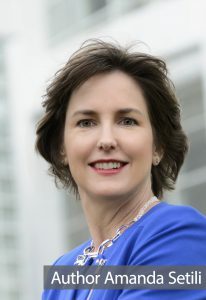 Many of my clients and readers are CMOs who want to dramatically expand their influence in the C-suite. I was specifically inspired by your insights on market agility. What’s the first step CMOs can take to strengthen their market agility muscles? Market agility is the ability to spot the new opportunities being created by market change. One of the best things CMOs can do to strengthen this muscle is to help those outside the marketing function to become more aware of changing customer needs and priorities. That way, the minds, hearts and hands of the entire organization are able to continuously adapt to serve these changing needs. Automaker Nissan provides a great example. Their marketing team responds continuously to comments customers make on social media outlets such as Twitter and Facebook. They feed that information immediately to the relevant dealer, engineering group, manufacturing plant, or customer service rep – the folks “on the ground” who can fix the customer’s problem. By establishing this fast-feedback loop, Nissan’s entire organization has become remarkably responsive to the market. You cite AT&T and Delta for hiring and retaining agile team members. What specifically have you observed in these companies? How can today’s marketing leaders and CEOs build similar capabilities? Jeff Arinder, a Delta Air Lines vice president responsible for building trusted partnerships with other airlines, agreed that that having the right employees is critical. Arinder hires “people who think differently from each other.” He told me, “We look for people who are ready for anything, who don’t get flustered, and who can adapt to changing needs.” His team gets excited by the idea of trying something new. How can strategic agility co-exist with deep reflection and perseverance? It may seem counterintuitive, but deep reflection is an important component of agility. The most agile companies take the time to think deeply about how they will respond to the changes they see in the marketplace. They approach problems from a ground-up perspective, and are constantly questioning assumptions. They cultivate dissent and debate. Even if you operate in a fast changing market, some aspects of your company should be held constant over time. For example, many companies hold consistent values, culture and purpose for decades, and balance that consistency with being very agile with respect to exactly how they accomplish that purpose. What will you do in 2015 to refine your strategic agility? Share your comments below—and pick up a copy of Amanda’s book here.